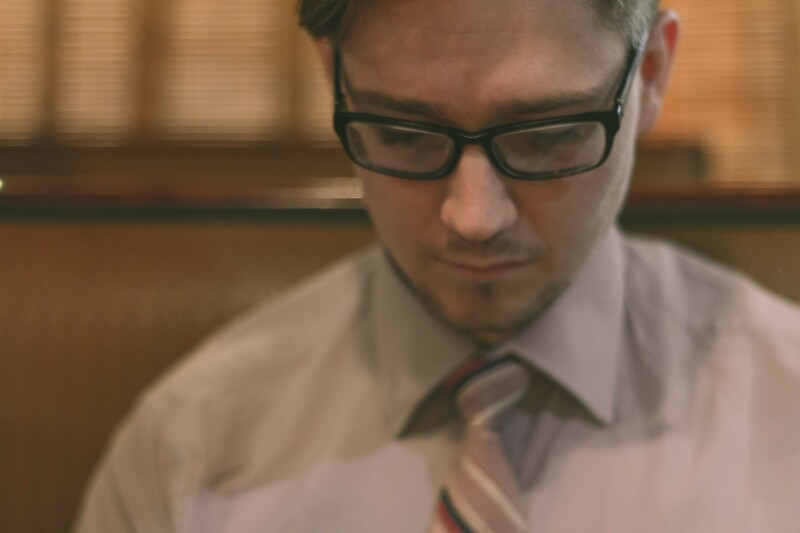 John J. Chatterton is a rising composer/performer/teacher aspiring to dedicate his musical life to collaboration. As a composer, John has worked with composers such as Steven Stucky and Christopher Theofanidis, and ensembles such as Gaudete Brass Quintet and the Mivos String Quartet, both of whom performed his pieces “Picayune” for Brass Quintet, and “I Dream My Dream” for String Quartet. In June of 2013 John attended the Chamber Music Institute at the University at Nebraska-Lincoln as the cellist of the Mélange Quartet, to study with the renown Escher String Quartet. In 2012 he participated in a masterclass with Yo Yo Ma, and in 2013 a masterclass with Dawn Upshaw and Gilbert Kalish. John received an award in 2012 for “Best Composition” for solo violin, performed and recorded by violinist Maureen Yuen. This award was presented to Mr. Chatterton at SUNY Fredonia where he completed his Dual Bachelors of Music in Music Composition and Music Performance. John held the principle position for the USF College Symphony Orchestra and is a sectional coach for the Tampa Metropolitan Youth Orchestras. 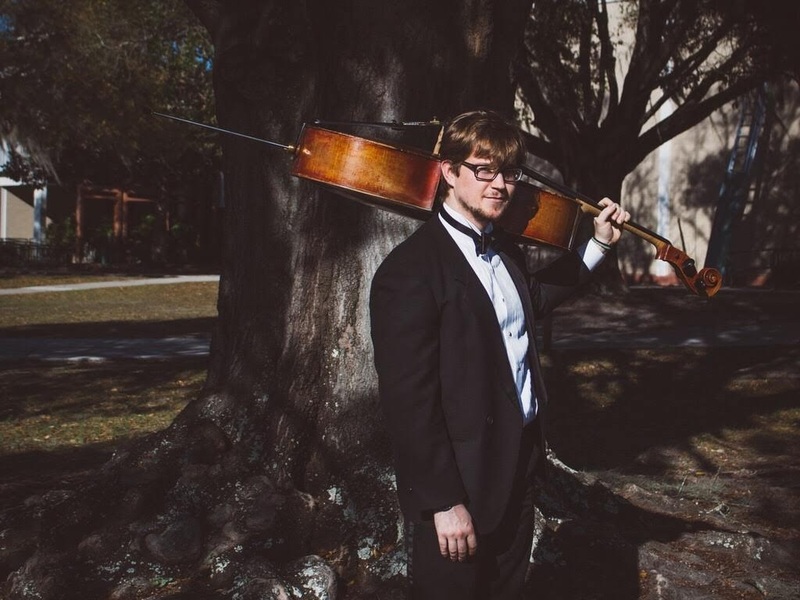 He participates annually in the Carl Fischer Strings Recordings for public school orchestras across the nation, and performs with the Venice Symphony, Pensacola Symphony, and Port Charlotte Symphony. He has participated in the Brancaleoni Music Festival in Piobbico Italy from 2017-2018 and performs frequently with his ensembles 4Cellos&Piano and the Alfajores Duet. 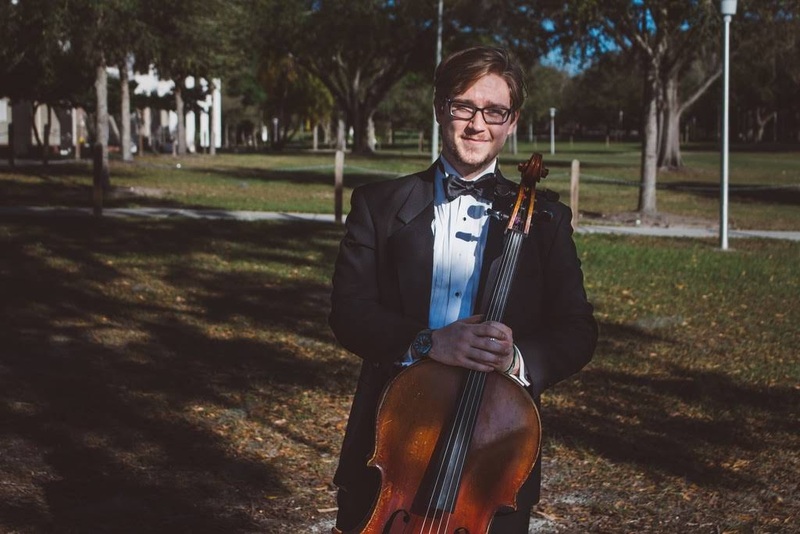 John is originally from Oswego, New York and presently resides in Tampa, Florida where completed his Masters of Music Degree with a Teaching Assistantship under Scott Kluksdahl and Helga Winold at the University of South Florida. John has been teaching for ten years privately and with the Queen of All Saints Mary School, and is a current acting clinician for Wiregrass and Strawberry Crest Schools. He has experience with Alexander Technique and during his studies promoted music health and safety through body awareness while heading the Fredonia, NY Chapter of the American String Teachers Association as President for 5 years. To learn more about John on the TBMA blog, please CLICK HERE. To inquire about availability for new students in John’s studio schedule, please CLICK HERE.